Light and crunchy snacks made with tasty farm-grown carrots and harvest fresh grains. 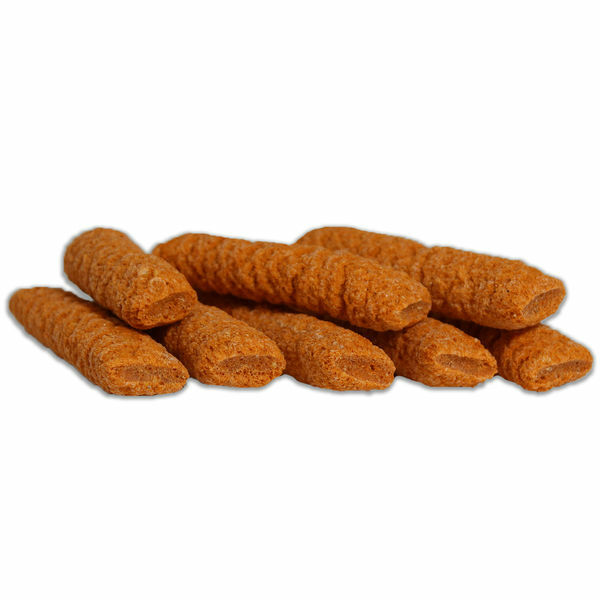 Slims with Carrot are an excellent nibbling treat for small pets that can be offered daily. The crunchy, oven baked texture promotes important daily chewing that is needed to work down most small mammals always-growing teeth. 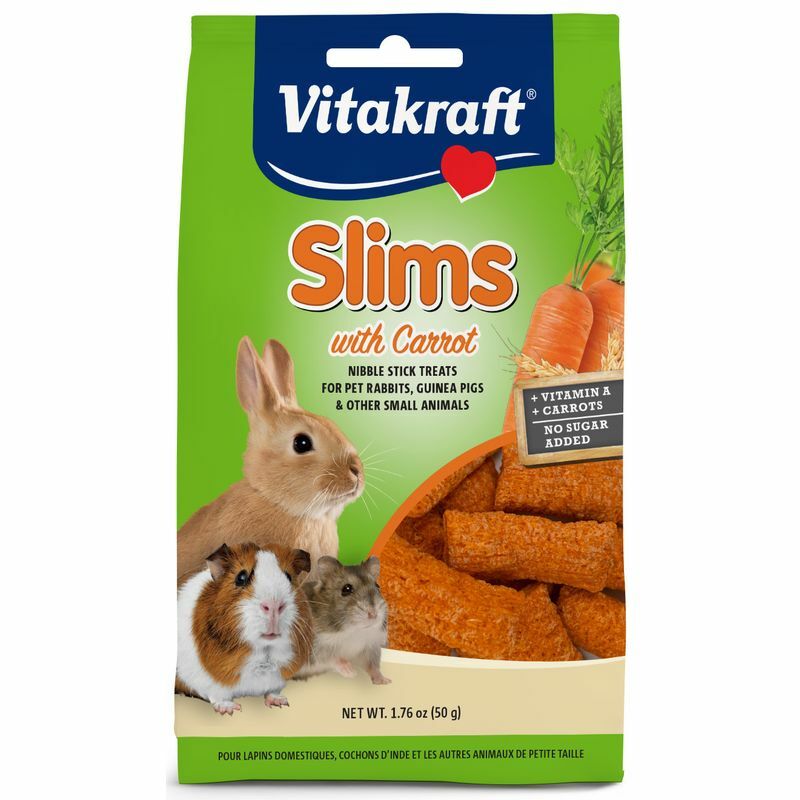 Place a few Slims with Carrot on your pet's regular food, in a separate treat dish, or offer as a hand-held reward. Slims can be offered whole or broken into smaller portions. Fresh, clean water and high-fiber hay should be available to your pet at all times. 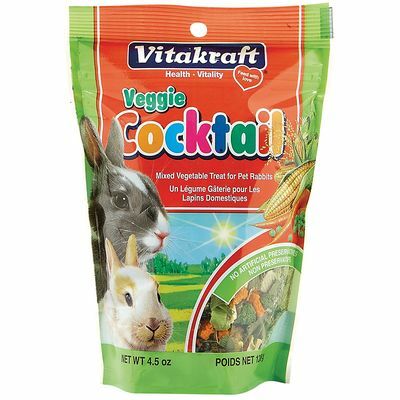 Tasty, colorful rabbit treat made with a palatable blend of garden vegetables. 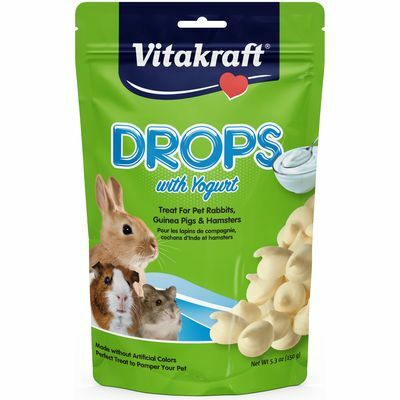 Tasty, sweet treat for pet rabbits made with real yogurt and a no artificial colors.